Footrests improve circulation and posture by elevating your feet to alleviate pressure on the back of thighs to reduce leg and back strain. BEST SELLER. 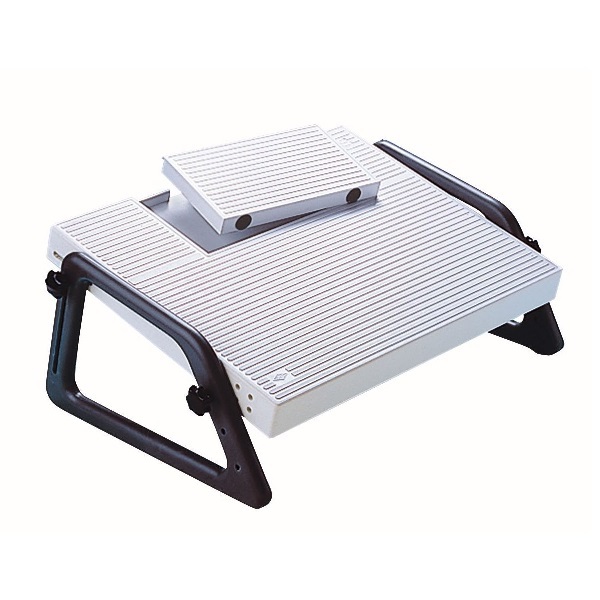 Dual-position height adjustable ergonomic footrest. 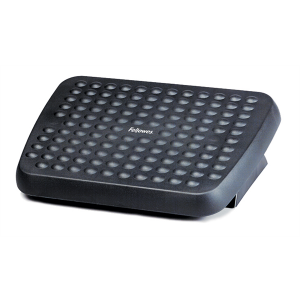 Free-floating platform allows legs to stretch for increased circulation. Textured bubble surface massages soles of feet to relieve tension. Accredited by FIRA International, an Independent Ergonomic Accreditor. Made from 100% recycled HIPS plastic. Supports feet to help prevent back and leg discomfort! 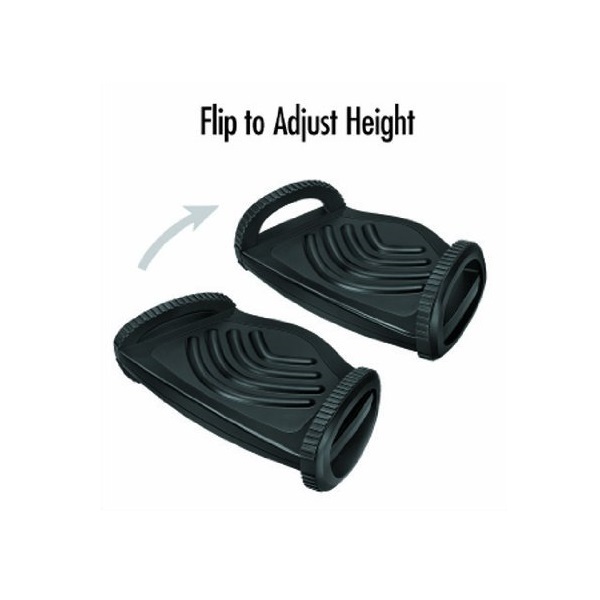 Easy to adjust for personal comfort using foot pressure - no bending or stooping required. Customise your foot position with the adjustable tilt and height feature. Tilts 30 degrees forward or back while the height adjusts to 105, 125 and 145 mm. 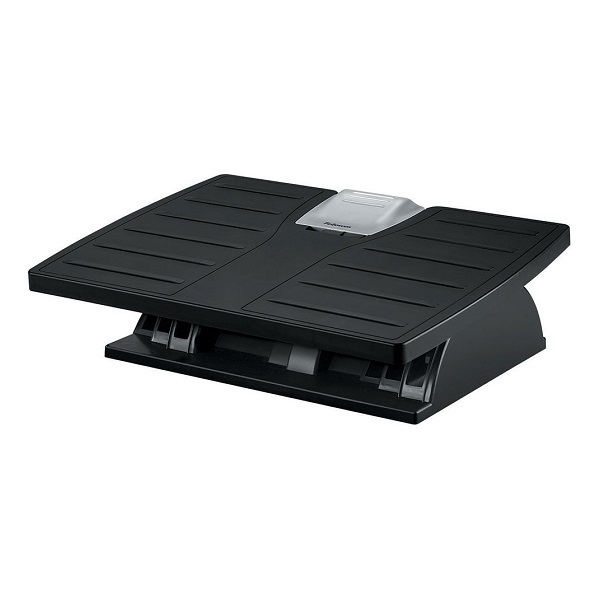 Locking mechanism either holds the footrest in preferred position or allows you to rock freely back and forth to stimulate the circulation. 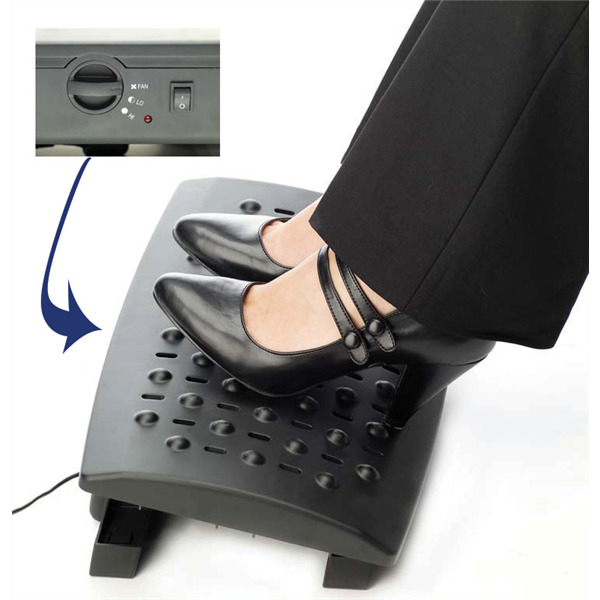 Ergonomic adjustable Foot Rocker with relaxing massage bars to reduce stress. Rocking motion improves circulation and reduces fatigue. Intuitive and simple height adjustment, 65 mm or 95 mm platform heights. 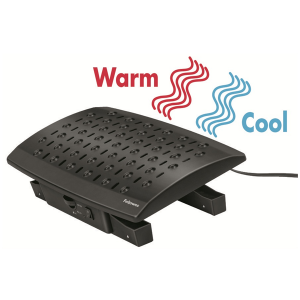 Multi-functional footrest radiates heat to keep you warm in winter! Climate control feature allows you to work more comfortably by adjusting the heat and airflow in your workspace. Heating and Cooling Fan. Auto-off feature turns unit off for you when not in use. 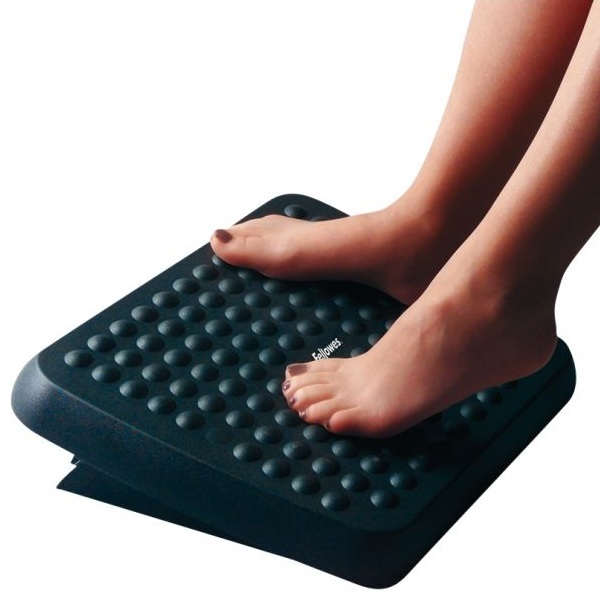 Surface massage bumps help relieve work related stress and rejuvenate tired feet. 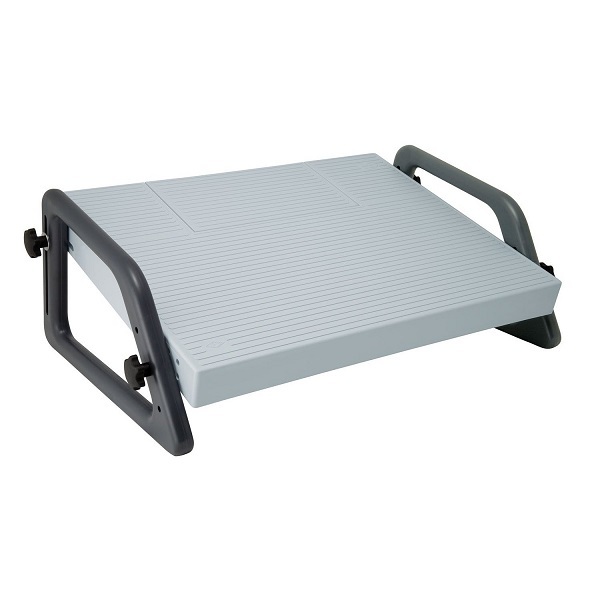 More than just a Foot Rest, the Wedo® Relax is produced from strong polystyrol plastic and features a covered compartment for foot control of dictating machines, copy holders, etc. The ribbed platform insures a firm grip and avoids slipping.